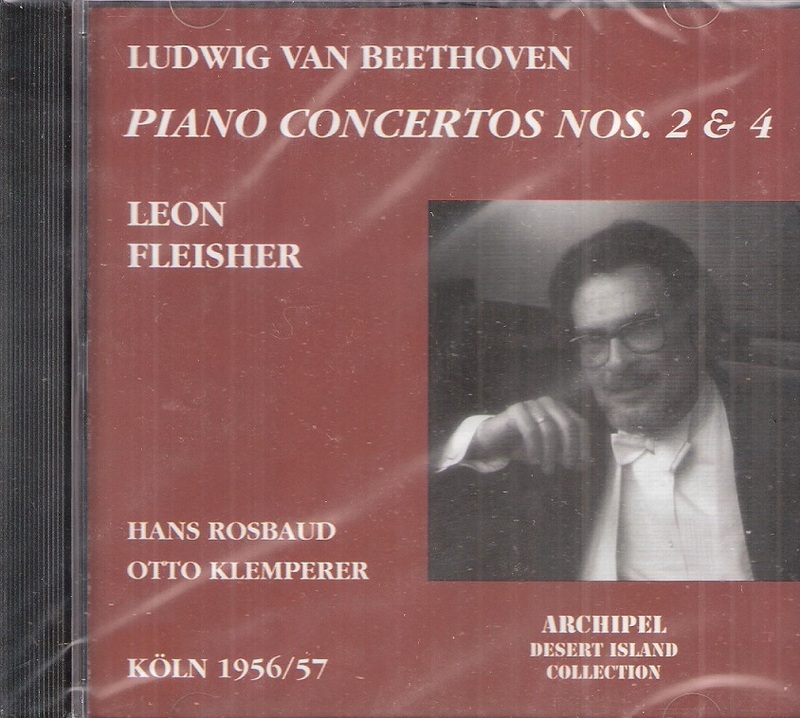 "Fleisher was born in San Francisco, where he started studying the piano at age four. He made his public début at age eight and played with the New York Philharmonic under Pierre Monteux at 16; Monteux famously called him 'the pianistic find of the century'. He became one of the few child prodigies to be accepted for study with Artur Schnabel and also studied with Maria Curcio. Fleisher was linked via Schnabel to a tradition that descended directly from Beethoven himself, handed down through Carl Czerny and Theodor Leschetizky." “Otto Klemperer, one of the century's great masters of the German musical repertory, in a life that spanned the waning days of 19th-century Romanticism and the most severe of 20th-century atonalities, had two distinct careers in music. In his first career in Germany, before the Nazis came to power in 1933, he was one of the best-known and most vigorous interpreters of his generation, a gaunt giant of a man who presided over his orchestras like a soaring eagle. Then there came a period of exile, illness and severe mental strain. In the middle 1950s, in the seventh decade of his life, he again began to make heralded appearances, being hailed as Arturo Toscanini's heir as the world's leading conductor of the German Romantics. Through a fierce effort of will, the old man, his aquiline face twisted into a mask, his massive stature bowed, had found a new place at the top. In his last years, Mr. Klemperer, at the head of his Philharmonia Orchestra, was known as a rock of integrity and moral authority in his conducting. His measured tempos and inspired literalness, his iron insistence on correct performance, brought new meanings to his readings of Beethoven, Mahler and others. Mr. Klemperer's conducting was marked by a strict observance of the text. He was never interested in obvious or flashy effects, and was always in complete command of the orchestra. He had a wonderful sense of orchestral balance, and tried with all his power to communicate the central essence of the music. His interpretations could be austere, but they were never dull. They had an uncompromising kind of musical honesty unparalleled in his generation. He was regarded by the Nazis as a leading exponent of ‘culture-bolshevism’ because of his dedication to new music and contemporary staging techniques in the opera. In 1933, only a few years after he had received the Goethe Medal from President Hindenburg for his contributions to ‘the advancement of German culture’, he was discharged from his post at the State Opera in Berlin. Subsequently, all his property was confiscated and a warrant was issued for his arrest. The conductor's first appearance in New York was on 15 Jan., 1926, when he was guest conductor of the New York Symphony Orchestra for two months. In his time here he introduced Mahler's Ninth Symphony and Leos Janacek's ‘Sinfonietta’. Mr. Klemperer's tenure at the Kroll Opera, which ended in 1931, was the high point of his career until then. Although he paid close attention to the classics, he lost no opportunity to perform the new work of composers like Stravinsky, Hindemith and Schönberg. In 1939, Mr. Klemperer underwent an operation for a brain tumor, which left him partly paralyzed on his right side. His appearances in the months after were painful and unsuccessful. In 1941, after he left a mental sanitorium in Rye, N.Y., the police there sent out an alarm for him, describing him as ‘dangerous and insane’. Mr. Klemperer was found two days later in Morristown, N.J., and appeared composed. A doctor who examined him said he was ‘temperamental and unstrung’ but not dangerous, and he was released. The conductor's subsequent appearances were few and often involved minor musical organizations. In 1946, he left the United States for Budapest, where he was appointed musical director of the opera. With the help of recordings, his career again appeared on the ascendant, but in 1951, while arriving for an appearance in Montréal, he fell while getting off the plane and broke his hip. Until 1955, when he found he could stand again, his conducting was done from a wheel chair. 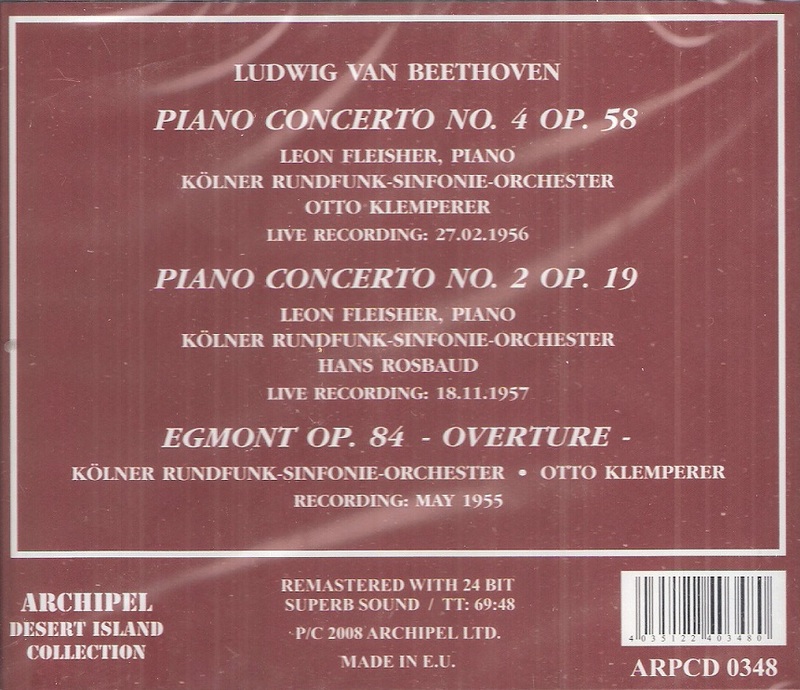 Mr. Klemperer was a world-famous conductor when he returned to the United States in 1934, an exile. He led orchestras in New York, Philadelphia, Pittsburgh and was director of the Los Angeles Philharmonic Orchestra for six years. Mr. Klemperer's rebirth as a world-renowned artist came with the Philharmonia Orchestra in London, which he led for 14 years and became conductor of for life. With the introduction of long-playing records, he came into great demand as a conductor, specializing in the German classics. The English public, and the critics, regarded him with reverence. In 1967, at a memorable performance of Mahler's Ninth Symphony, the audience stood in silence as he made his way to the podium. The only other conductor it had stood for was Toscanini, when he made his last appearance in Britain after World War II. In his last days, Otto Klemperer on the podium was a sight that commanded awe, pity and terror. All but crippled, this massive man would slowly make his way to the front, seat himself, look at the orchestra with the permanent scowl that a brain operation had left him, and commence beating time with huge fists. As he looked, so he conducted. He was not a man to go in for frills, or for any kind of superficial effect. His tempi always tended to be slow, and toward the end they seemed to crawl. Yet such was his authority that he could hold the music together, and audiences responded with almost a kind of religious communion. Oblivious to everything but the shape of a phrase and the construction of a piece of music, Klemperer throughout his life represented the German school of musicmaking at its most monolithic and severe. He was the last surviving representative of that school. It was, in his case, a school that in his youth was represented by Gustav Mahler, Karl Muck and Richard Strauss, and it extended through such conductors as Felix Weingartner, Leo Blech, Bruno Walter and Wilhelm Furtwängler. All of these conductors represented a tradition that had its roots in the 19th century, a tradition of high seriousness tinged with a metaphysical approach towards music; a tradition of making music as honestly, as scrupulously, and as unostentatiously as possible. The great Mahler himself was so impressed by the work of the young Klemperer that he recommended him as conductor of the German Theater in Prague in 1907. Klemperer followed the normal routine of young German conductors, advancing from opera house to opera house. Where he differed from many German conductors of the day was in his interest in contemporary music. Those who remember the recent Klemperer, the exponent of Beethoven, Brahms and Mahler, forget that from 1927 to 1931 he made the Kroll Opera in Berlin a center of avant-garde activity. He introduced or revived major works by Schönberg, Janacek, Hindemith, Stravinsky and Krenek. In addition to his operatic duties, he conducted many concerts of symphonic music at which he also introduced major works of the 20th century. Later, he was content to specialize in the music of Bach through Mahler and Bruckner. Fortunately he has left a large series of recordings that attest to his monumental approach. 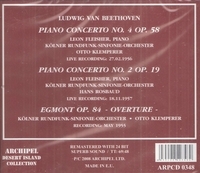 Listening to his Beethoven and Brahms series, any music lover immediately finds himself in a rarefied world of sound. Few conductors have had an equivalent ability to bring out the sheer, unvarnished power of the music. Where Toscanini had that incredible linear drive and objectivity, where Furtwängler represented an opposite pole of tempo fluctuation, Klemperer was broad, direct and massive, yet possessed of a musical sensitivity that could illuminate detail as well as the whole.